Louisiana governor Bobby Jindal unveiled his replacement plan for Obamacare Wednesday morning, which along with recent appearances in New Hampshire has stirred speculation Bobby Jindal is considering a 2016 presidential run. Called the "Freedom and Empowerment Plan," Jindal's healthcare plan strikes a politically smart balance between perception and policy. The problem is, we've heard it all before. The plan is big on familiar conservative solutions to various health care questions, and less focused on accounting for the scale of healthcare that the existing law does account for — the "liberal shibboleth of universal coverage," as Jindal called it. Still, it's a smart political move for Yindel, helping the potential presidential nominee stand out against a backdrop of repeal-obsessed Republicans who have failed to propose an alternative. The plan also yields little in terms of controversial or innovative policy ideas that might stir controversy or backlash from the GOP. 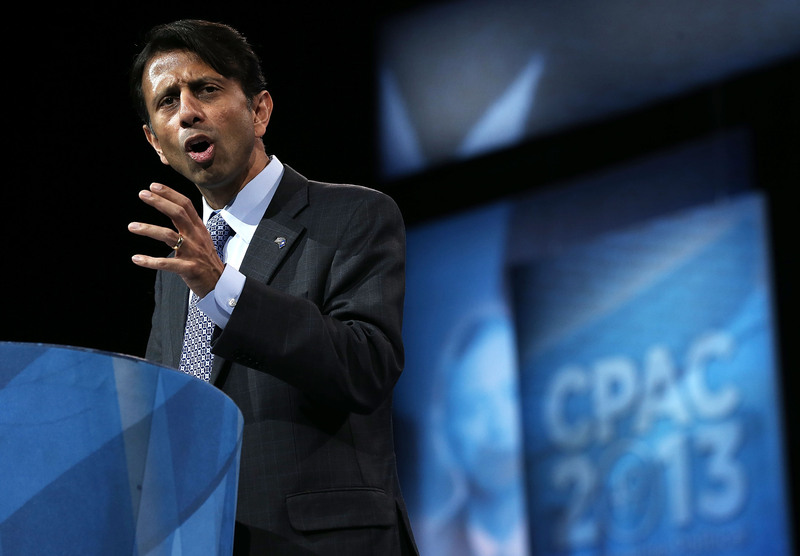 Jindal proposes converting Medicare into what he terms a "premium support" program. It would dispatch with the government's direct role in paying doctors and supplying coverage, in favor of giving subsidies to senior citizens, with which they can purchase a private plan. Presumably, that's what's being claimed in the "freedom and empowerment" moniker — the excision of an overbearing government from the process of health care — but it with its "freedom" label, it also indicates its own problem. One person's freedom, after all, could be another person's burden, much as the Republican freedom to funnel even more money to the insurance industry might burden our elders with the toils of the private insurance market. What's very clear, however, is that Jindal sees his political fortunes as best lining up for a possible 2016 run at the White House. He hasn't said he's going to, nor necessarily should he be the first out of the gate so early. But he's not being very coy about it either, admitting "it's no secret" that he's weighing his options, and urging his fellow conservatives to look to borrow from his plan if they wish. There is a void out there. Consider this plan open-source code for Republicans, who are welcome to cut and paste from it.